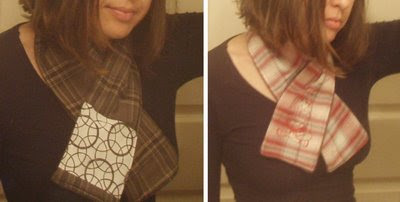 I've been sewing and printing these scarves for the past couple of months now and I am absolutely in love with them. I make the grey ones with a beautiful slubby 100% linen with a wool blend on the back, which is super soft and not scratchy at all. I must have looked like a complete nutter when I went to buy the wool, as I was rubbing all these different fabrics on my neck and cheek. There is nothing worse than a scratchy scarf. 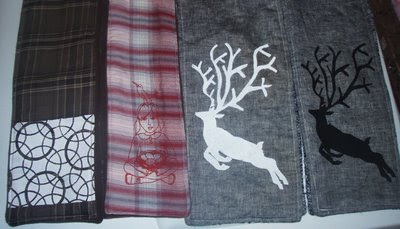 The other scarves have a polar fleece on the inside and the check fabrics are flannelette. 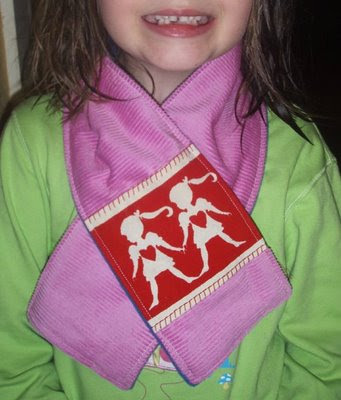 The kids scarves went great guns on the weekend at The Olive Tree Market and I've only got a couple left. The kids scarves are made with super soft cords. My photos are just getting worse by the post, but modelling my scarves and taking the pics is difficult at the best of times let alone at night and in a foggy bathroom mirror. Oh well, you get the idea of the scarves anyway. The small crossover ones have velcro attached on the inside. 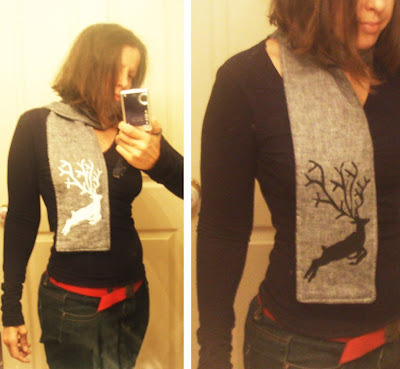 these are fantastic, I love the color combos you have selected, I think one of my top faves would be the leaping stag. These are great! I especially like the reindeer ones.